Vinyl lettered banners are one of the least expensive methods of banner making. When you want to make a strong statement, vinyl lettered banners are the answer. Vinyl banners are an especially inexpensive way for any business, community, organization or group to promote information. Indoor and outdoor vinyl banners, temporary or extended use vinyl banners, and custom printed vinyl banners are versatile in their many uses. Each vinyl banner, big or small, is designed specifically to deliver durable eye catching images for indoor or outdoor use. When you need to produce a point of sale system campaign, or just need to promote your business products on a large scale, then we recommend printing with coroplast. This material is a light weight plastic with a honey comb finish to it. This material is water resistant, and resistant to U.V. rays from the sun (perfect for outdoor signage). One of the uses for coroplast is for printing lawn signs. A lawn signs is a full color message that can be attached to an "h" frame and then can be posted and be inserted into grass, soft dirt, or soft soil. Mostly these signs are used for political messages, promote a sale or used for a special on restaurant food items. 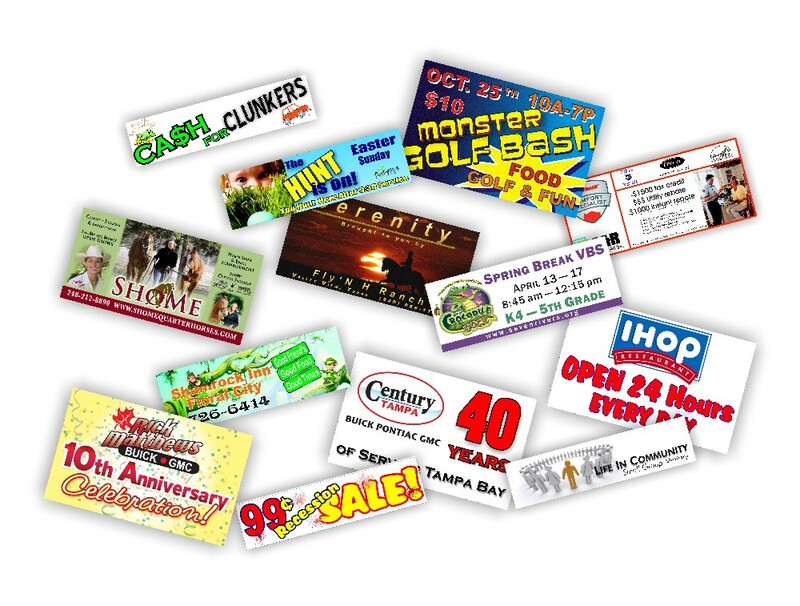 Never stop advertising your business or event with a custom magnetic sign! 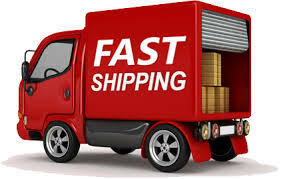 Magnetic Signs can easily be mounted to a variety of surfaces. 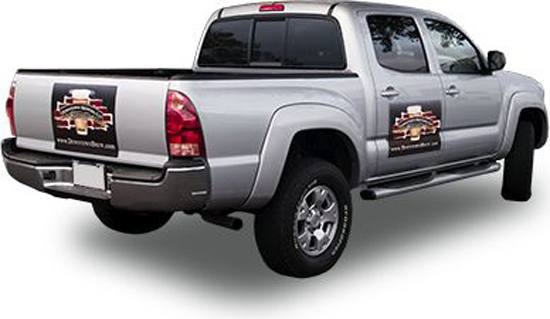 Put a custom magnet on your car, your truck, your SUV, your semi truck, even your boat. Use our easy design tools to pick the right shape, colors, and size for your vehicle.